We have heard and read from our guests that the parking situation near our restaurant isn’t the best and can be frustrating. Here’s a map and some quick tips when it comes to parking near Lin Asian Bar + Dim Sum Restaurant. 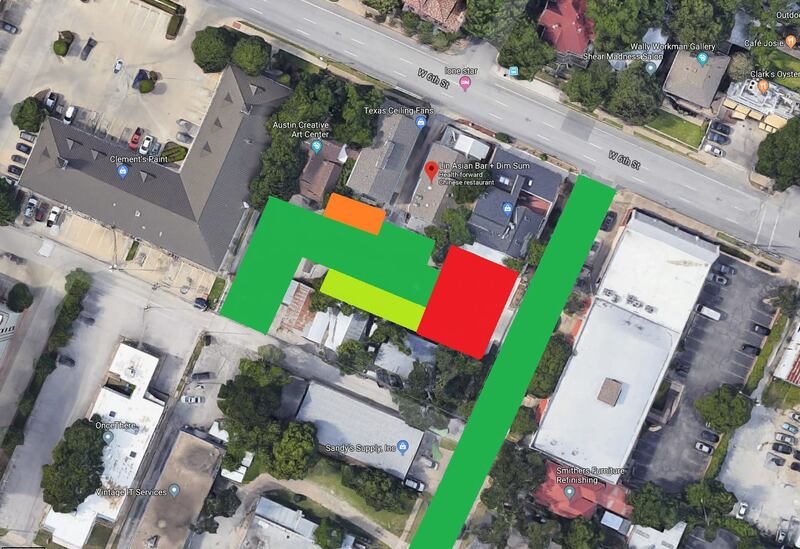 The Red Area equals the Sherwin Williams parking area. DO NOT / NEVER park in this area even if the store is closed. The Green Area equals spots that are always okay to park at. The Light Green Yellow Area equals the spots you can park in after 530pm. The Orange Area equals the spots you can park in after 6pm. The easiest and most popular place to park is on Walsh Street between 5th and 6th Street. Please comment below if you have any tips when it comes to parking at our restaurant. Thank you.